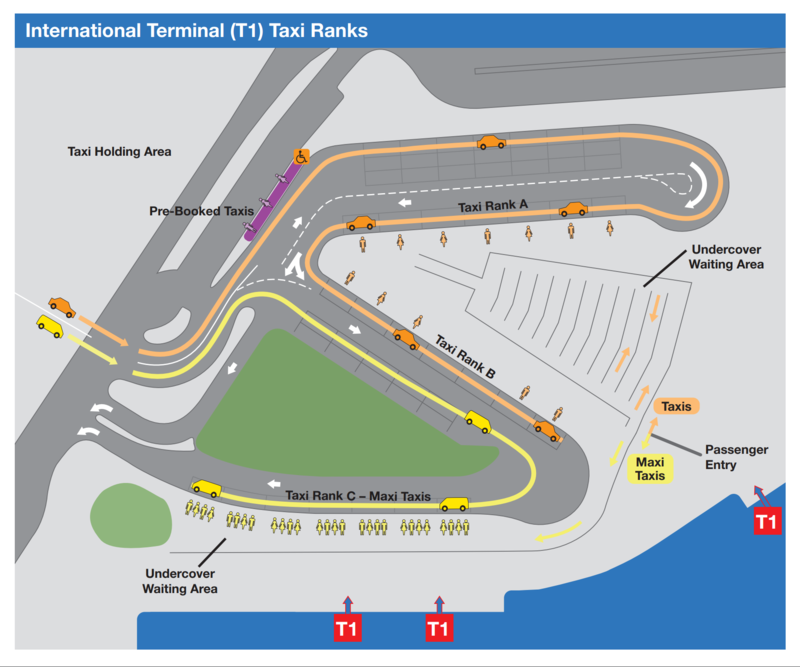 Sydney Airport provides both taxi and trains to get you to Darling Harbour. A Sydney airport taxi, being the most direct route, will take around 19 minutes and cost around 27.80€ (AUD$44). Alternatively, if you wish to take public transport, the T8 Airport Line train will take you to Town Hall Station, a walking distance away from the Harbour. The journey should take around 25 minutes and cost 10.90€ (AUD$17.40). The Sydney T8 Airport train has a stop that is only a short walk from the Darling Harbour Area. If you take the train from the airport, the station to alight is Town Hall. You can walk to the Darling Harbour area from the station. The journey, including the walk should take around 25 minutes. 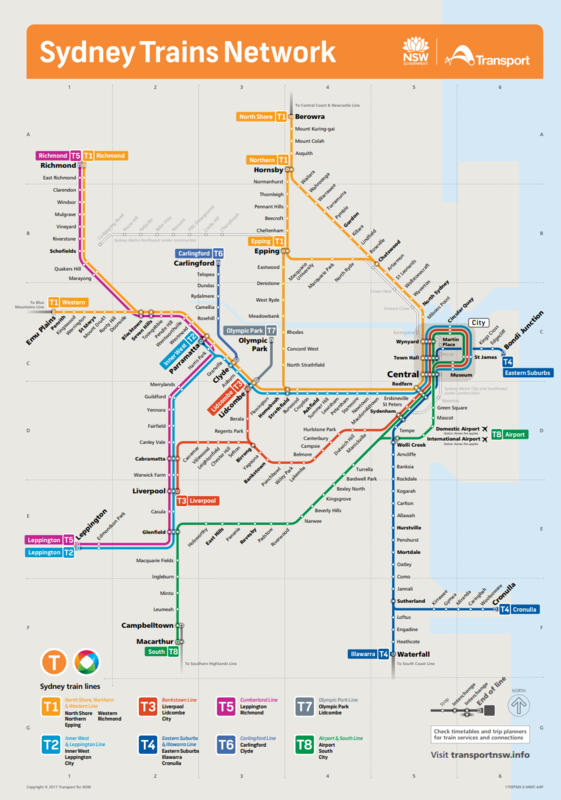 How much does the train from Sydney Airport to Darling Harbour cost? The train fares are calculated by distance, as well as whether they are taken during peak hours or not. Standard cost of the train will be around 10.90€ (AUD$17.40) for the trip, including airport fees associated with station access. The train will need to be paid for with an Opal card which is purchasable at the station before boarding. The trains are available 7 days a week, leaving every 5-10 minutes between 05:00am - 00:00am. The train station is accessible from the arrivals terminals at both Domestic and International. Although it is another direct option to get you into the Harbour, the train requires a walk to get to your final destination which can be an additional hassle with luggage after a journey. The airport fees can mean that the train ticket is rather expensive for groups also. If you are wanting to avoid the walk, you can take the Lightrail from the Central Station to any of the following stops: Convention Centre Light Rail Station or the Exhibition Centre Station or The Star (Casino) Station at Darling Harbour. Buying a Single Journey Opal ticket can be more expensive that using the rechargeable card option. Opal cards can be purchased at Relay, WH Smith or stations. If you wish to take a taxi to the Harbour, you will find that the journey is quick and easy. Taxis are organised and efficient and will take you to anywhere in the Harbour area of the city in around 19 minutes from the airport. Taxis are operated by various companies, therefore they will appear in many different colours and styles and will all be present at the ranks. Taxis are metered in Sydney, therefore the cost of a journey may vary. However, you can expect to pay around 27.80€ (AUD$44). Night-rates will be in effect from 22:00pm - 05:59am, therefore a journey on to the centre will cost around 34€ (AUD$54) on this rate. An additional AUD$2.50 will be added to the final fare between these times on Friday and Saturday nights. Taxis are the most convenient option for those who wish to get to Darling Harbour quickly and safely. It is certainly the better option for those with luggage or small children as the trains can be a hassle. There are always tolls from the airport for anyone leaving by taxi over the freeway or bridge. Ensure that you are aware of this charge being added to the final cost. Supervisors on ranks are available to help you with your luggage and organizing your journey. Taxis cannot pick you up from anywhere outside of the ranks and cannot leave their vehicles to assist you at the airport. How many transport options are provided to get from Sydney Airport to Darling Harbour? The airport provides 2 transport options to get you to Darling Harbour - taxi or train. A taxi is the most efficient method as a short walk will be required from the train station if you choose this option. How far is Sydney Airport located from Darling Harbour? 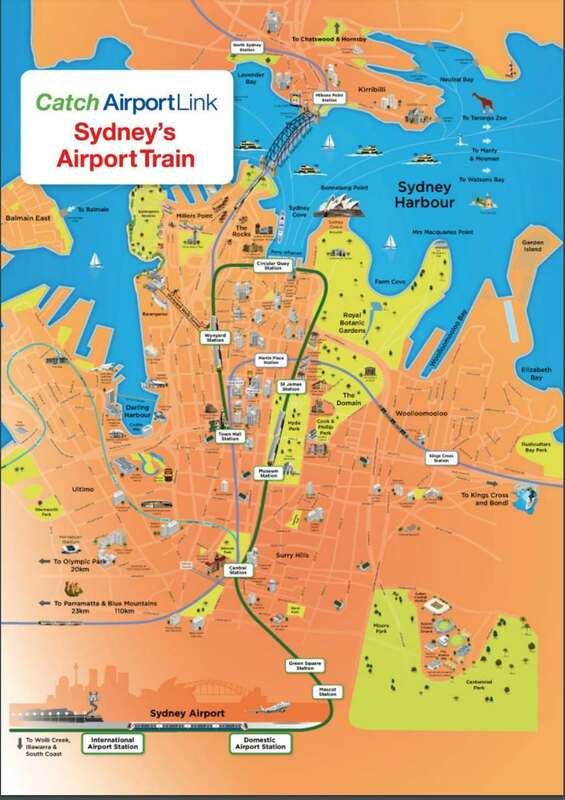 Sydney Airport is located 11.8km from Darling Harbour, the journey via taxi should take around 19 minutes. How much does a taxi cost from Sydney Airport to Darling Harbour? Taxis are metered in Sydney, and there is an airport toll charge also. The trip should cost you around 27.80€ (AUD$44). Night-time charges can effect this rate.